Looking for film producers near Bath? One of the greatest things about producing a company video is not just the end result. The whole video production process is part of the overall experience for us. Meeting new people, discussing the process and then planning the look and feel of the finished video is all part and parcel of the job. Our very first commercial film shoot was for Jamie’s Italian. 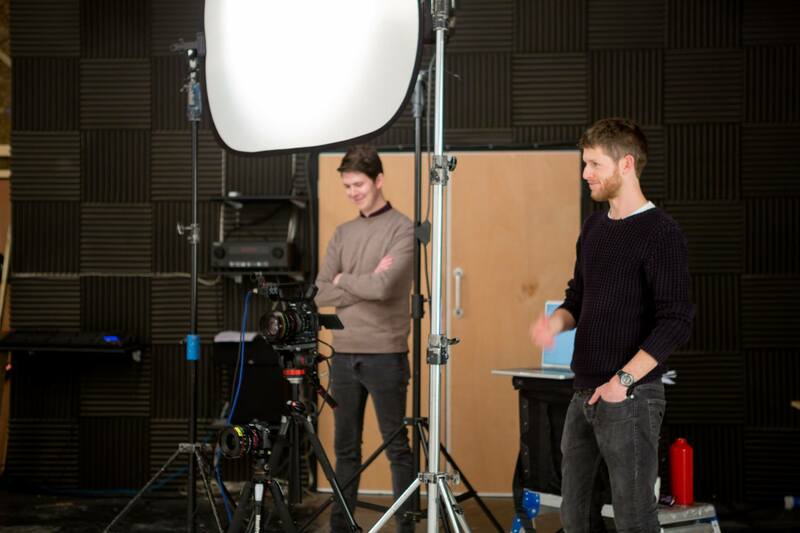 At the time, the feedback we had from the management there was that our production crew were “thoughtful and unobtrusive” and that the end result “really captured what we have to offer”. We are passionate about producing creative video content for our clients. Not only are we experienced film producers we also understand the value of visual content as far as marketing is concerned. Think of your short film as a marketing tool rather than something that’s purely there to serve people already on your website. You can optimise your film for online purposes. Did you know that Youtube allow you to create an optimised video? This is where lots of people miss out on valuable search traffic. Simply uploading your film is great but optimising it so that it appears higher in the search results is key to attracting more people to your product or service. Not only does this help your Youtube ranking it also helps your organic search rankings. Put simply, your video may show up in the search results when people are looking for your particular service or product. How cool is that? If you are wondering about which film producer to employ then it’s always a good idea to look at the company portfolio. At Jooka we offer a friendly professional service and try to make things as informal as possible so that you feel completely at ease with every part of the production process. It’s not as simple as producing a great film because as we said, it’s not just about the end result. It’s important that everyone involved in the production process is comfortable and feels their input is valued. That’s where we excel. Our personable approach make us the perfect film producers for your company video. Bath based companies are really making the most of the fact that film is becoming more and more popular as a way of promoting business or events. Bath is a thriving City full of innovative and creative businesses not afraid to take the leap into the vast World of online media. Did you know that this beautiful Georgian City is home to many Londoners who have decided this is the place to be? It’s close enough to commute into London but also full of new and exciting business opportunities. Find us at The Glove Factory Studios, Holt, BA14 6RL – We’re just outside of Bath with plenty of off street parking for your convenience.